I know red is super “look at me!” and you may not feel comfortable wearing it during the day or period. 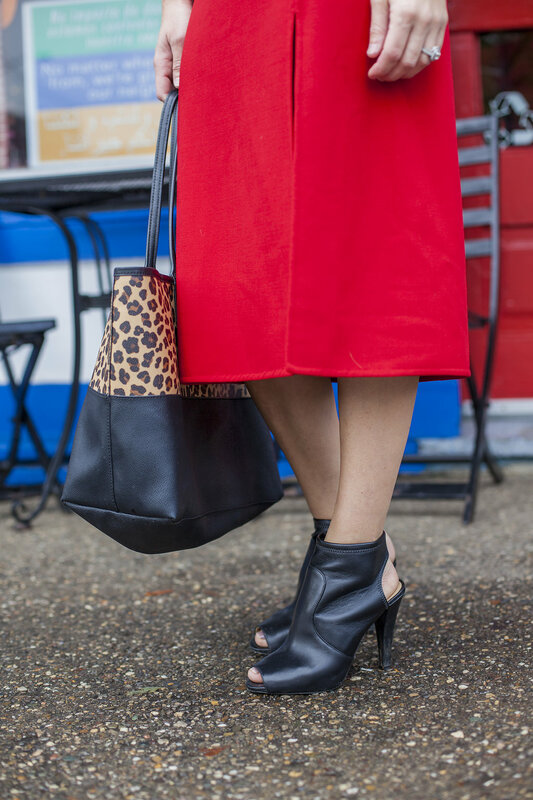 But I promise you, there are SO may ways to rock red pieces without being the center of attention. I personally wanted this skirt to be the statement piece so I paired it with a black top, jacket, and shoes so it would stand out. And then the leopard gave it a little more fierceness (is that a word?) But I totally could have paired it with a chunky ivory sweater with mules or tennis shoes. Or a graphic tee. I’m a firm believer in the options being endless, no matter the piece. 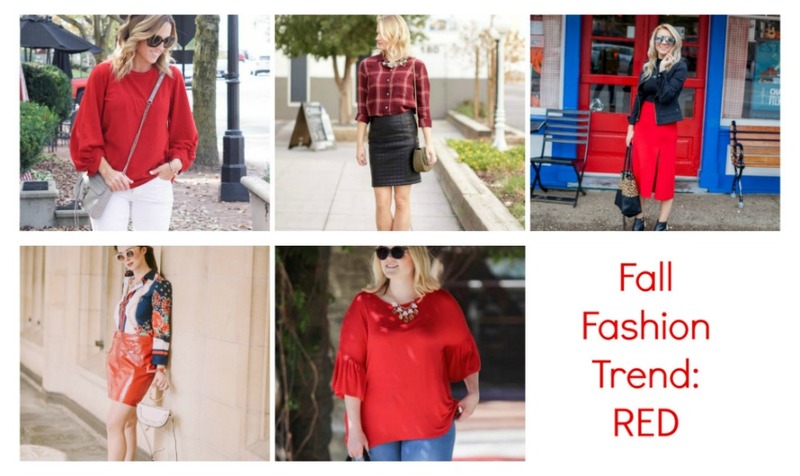 I’ve teamed up with some other blogger friends to show you some different ways to style red pieces for fall! And I’ve also searched the internet for some red items I’m swooning over! Happy shopping! « Pump up the volume this fall with VOLAIRE. So pretty Sam, I love the color of this skirt!